…and it was the toughest race I ever ran. I mean ever! 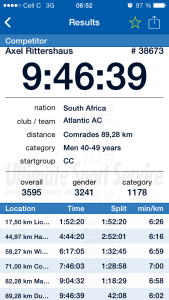 I managed to finish in 9 hours 46 minutes, which is 20 minutes slower than my best in 2012 and just 1 minute faster than my very first Comrades. 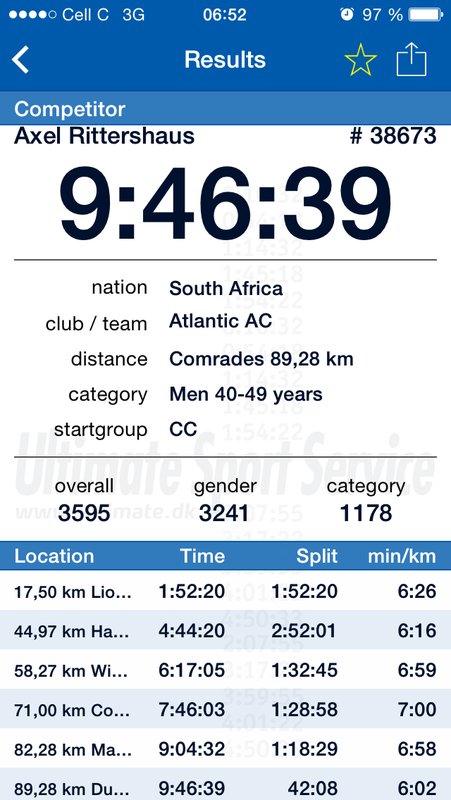 I’m happy that I finished, it’s still a decent time in about the fist 25% of the field and I am grateful that I was able to run and get to the finish without injuries or cramps.